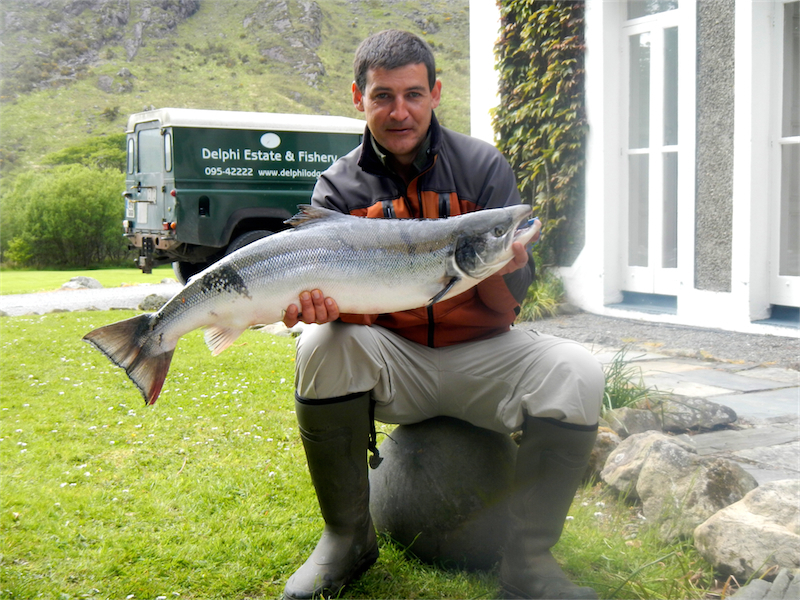 The 1st of June 2013 is certainly a day that Paul Wymes will remember for a while as he succeeded in smashing his previous best of 15lbs11ozs, which he also set here earlier this year when he landed a beautiful 17lbs12oz fish in Salmon City on Finlough. The fish took a size 12 Foxford shrimp was in about a week and only measured 87.5cms, which is quite short for a fish that weight. It took Paul about half an hour to land it and I’m sure that he was given great advice from his father, Michael who was also fishing and of course John Sommerville who finally netted the fish. For those of you who know Paul, I think it goes without saying that when it comes to playing fish he doesn’t need much advice, as he’s had a few here and there. And by the way Paul did manage to land another fish last night of 12lbs2ozs, again on Finlough on an Arabelle shrimp. 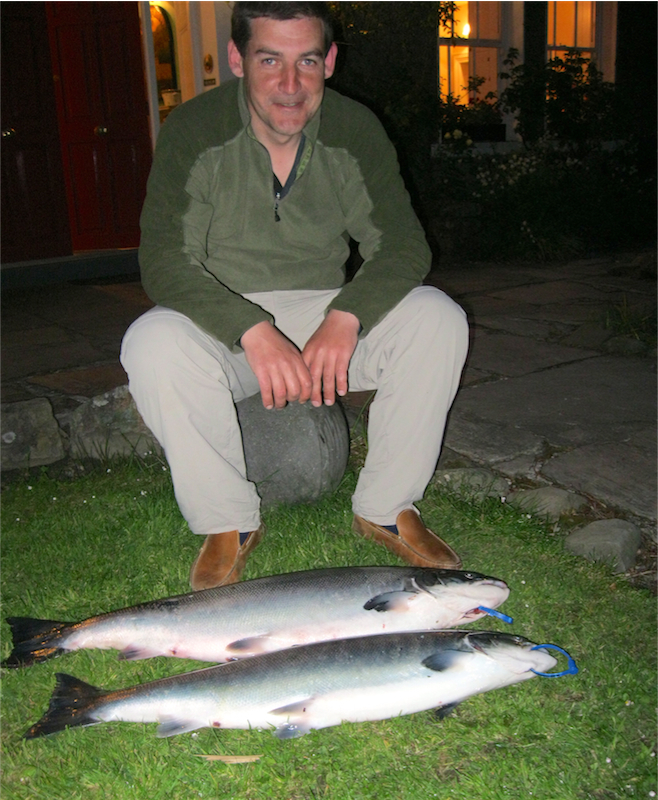 Having said all that we should not forget John Moore who managed to land a fish of approx. 11lbs off Doolough on a Munroe Killer.